But it’s also an experience I will remember for the rest of my life! Feeling alone in the world, surrounded by nothing but clouds at the misty Lamjura La pass. Admiring the stunning views over the snowy peaks in the beautiful valley near Dughla. Walking through little mountain villages like Bupsa, where children wave to you until you are out of sight. Watching the donkeys carry their loads from Nunthala to Namche Bazaar, like they have done for centuries. 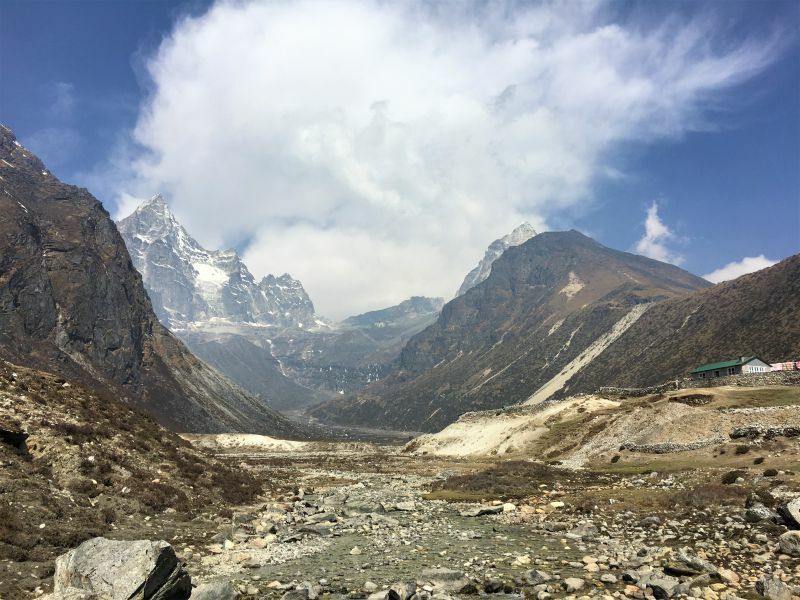 Yes, hiking for 3 weeks and being removed from the modern world was amazing and a great way to ‘switch off’ (also, there is no cellphone reception on a large part of the Jiri – EBC trek, more about that further on in the post). 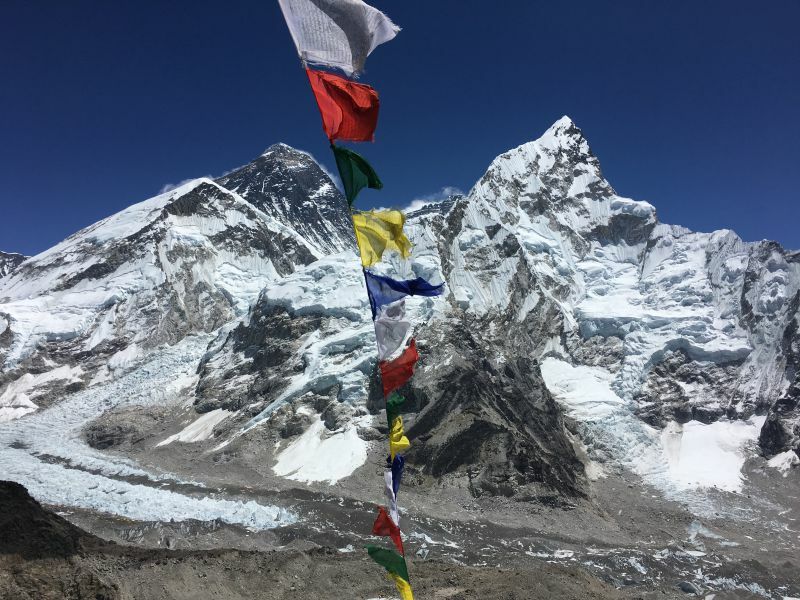 I have also written two other posts about our Everest Base Camp trek, if you read all three articles you should be well prepared for your hike! The map below is just to give you an impression of our itinerary, please buy a detailed hiking map before setting out on the Jiri – EBC hike! Besides a map, I also used the Lonely Planet ‘Trekking in the Nepal Himalaya’ and the Maps.Me app to navigate during our trek. It’s not that the trail is particularly difficult to find but I like knowing where I am and where I am going (*cough* control freak *cough*). No hiking yet, today was about getting to the start of the trail. We took a bus from Kathmandu to Jiri, the bus left from Ratna Park bus station at 8am and we arrived in Jiri around 4pm. About halfway we stopped for lunch and a few km before Jiri we briefly stopped at a police checkpoint to register (write down your name, age, passport number and nationality). It’s a long bus ride but the views were nice and we were excited to get out of Kathmandu and almost start our hike! About the lodge: a simple lodge (like all the lodges along the Jiri – EBC trek) but with friendly and hardworking owners. Squat toilet, no shower (but no hiking = no sweating = no problem), free charging our bedroom. We had a plentiful and tasty dinner for 200 rupees per person. Breakfast was also nice: omelet, 2 chapattis, jam and coffee for 200 rupees per person. The bed was not very soft, but there was a pile of blankets in our room, so we put some of those on the mattress to make it softer. There are probably better places to stay in Jiri, but it was fine for a night. Anyway, after Shivalaya it’s a very steep and draining ascent to Deurali. For Frank this was the heaviest day on the trail, because he burnt through all his energy and was absolutely exhausted when we finally (3h30min) arrived at Deurali. About the lodge: a nice and colorful guesthouse with a large common room (unfortunately not heated). Free charging available in the common room, comfortable bed with very warm blankets. Very clean squat toilet, sink to brush teeth. We both took a hot shower (150 rupees per person). The friendly girl who runs the place speaks English very well. About this day: we started the day by descending 600 meters from Deurali to Bandar. The village of Bandar was severely impacted by the earthquake, the stupa and many houses were completely destroyed and not yet rebuilt… From Bandar we hiked to Kinja where we registered at the police checkpoint and had lunch. Hiking from Deurali to Kinja took us 4h30min (it’s all downhill). After lunch we had to ascend 1000 meters to Sete. Combined with my suddenly protesting bowels (and the resulting emergency toilet breaks along the way) this was not my favorite afternoon… It took us 3 hours of relentless climbing but we eventually made it to Sete, just in time before the rain. About the lodge: very basic guesthouse. Common room with some magazines, books and pillows (not heated). Good food, no sockets = no more free charging. Western toilet and sink to brush teeth. Bed was okay and blankets were provided. The walls of the room didn’t reach the roof, if you have noisy neighbors you will hear them. Our biggest ‘problem’ in this lodge was that it rained so hard during the night, the roof started leaking. We were on the left side of the building (when facing the lodge) and it leaked only a little in our room. The 2 people sleeping on the right side of the building had to move to other rooms in the middle of the night because it actually rained inside their room! About this day: we climbed for 4 hours to the Lamjura La pass (3530 meters), the highest point on the trail from Jiri to Cheplung. It’s not until Tengboche (day 10) that you reach this altitude again, which is why the Jiri trail is excellent for acclimatization! At the pass there was still some snow on the trail, we had to be quite careful as it was very slippery. As you can see in the picture above, we didn’t have much of a view from the top… However, the fog did give the hike a mysterious edge, a bit like when we were hiking the Koyasan Choishi Michi pilgrimage trail in Japan. About the lodge: soft bed and warm blanket, cozy common room, hot shower (200 rupees), western flush toilet and sink to brush teeth. Charging was 100 rupees per device (but we didn’t use this as we have our Goal Zero Nomad 7 Plus Solar Panel and Goal Zero Venture 30 Power Pack). About this day: we started hiking early in the morning when the sun was still shining. I really liked this part of the trail, it went through beautiful meadows, green forest and offered some splendid views over the valleys. Unfortunately, the sunny weather didn’t last and when we reached the Everest viewpoint after 1h30min there was nothing to see but clouds. We continued our way to the village of Ringmo where we had lunch. After lunch we ascended about 400 meters to Tragshindo La pass (3071 meters), from the pass it was a steep, slippery and draining descent to Nunthala. About the lodge: one of my favorite lodges because of the friendly lady who runs this place! Okay bed with warm blankets. Clean western toilet and hot shower (200 rupees, but not a very good shower). Cozy and heated common room. Excellent food with lots of veggies and homemade chili (warning: hot!). About this day: according to the Lonely Planet this day is the shortest day on the Jiri – Cheplung trail (the trail to EBC starts in Cheplung) and this turned out to be true. From Nunthala we descended to the Dudh Kosi river, also called the Milk River because of its cloudy color due to lots of sediment. The weather was amazing and the valley looked so pretty (see picture above)! After 4 hours of hiking we had lunch at the sprawling and colorful village Khari Khola, beautifully located amidst the rice terraces. After lunch it took us another 1h30min to get to Bupsa. The last part of the trail was pretty steep, but we felt a lot stronger than on day 1 and 2 and didn’t have too much trouble with it. 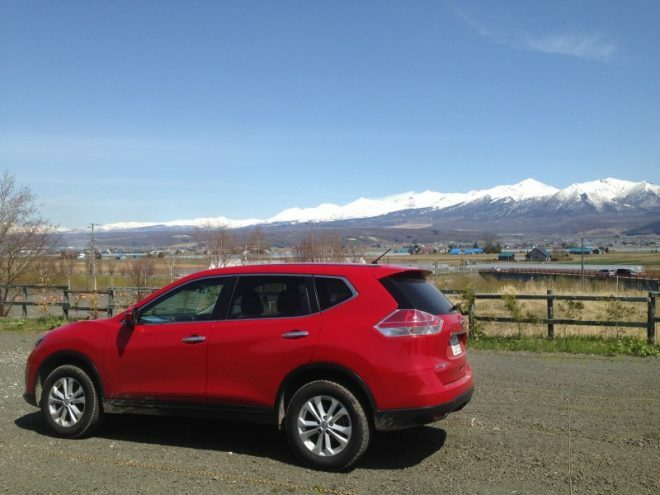 About the lodge: quiet lodge with beautiful views. Comfortable bed with blankets, squat toilet, hot shower (200 rupees), common room not heated. The food was good, especially the spring rolls! From Paiya the trail was a lot better and we hiked up to Paiya La pass, had lunch at the Khumbu View Lodge and descended to the village Surkhe. From Surkhe it took us 2 more hours to get to Cheplung, a very exhausting day! But we made it, we were officially on the Everest Base Camp trail! About the lodge: a newly built lodge with friendly owner, comfy mattress and warm blankets. Clean western toilet and sink to brush our teeth. From the dining room (not heated) we had an amazing view over the valley. For the first time in 4 days we had reception with our NCell SIM card, you can read more details about cellphone reception on the trail further on in the post. Important note: there were very few hikers on the trail from Jiri to Cheplung. Most of the time we were the only guests in the lodge. Also, there is still a lot of damage in the villages along this part of the trail. We talked to some lodge owners and they say it’s been very quiet since the earthquake. Therefore, I highly recommend to start your hike from Jiri. It’s a beautiful area, hiking this trail will help with acclimatization AND, most importantly, you will help the people who live along the Jiri – Cheplung trail. About this day: compared to our previous hiking days this day was super easy… The trail is relatively flat, just some stairs and a couple ups & downs. The path leads through a lovely pine forest and along the river. A major difference with the previous days was the amount of hikers on the trail, in one morning we came across more trekkers than we met in total on our 6 day trek from Jiri! About the lodge: okay bed with blankets, food was good, western toilet and sink to brush teeth. Nevertheless I do not recommended this lodge because of the rude owner. The light was broken in our room and after several attempts to fix it we decided to change to another room (we were the only ones in the lodge and didn’t think this would be a problem). After a couple of minutes the lady running the lodge came stomping up the stairs and started shouted at us because we had changed rooms. We tried to explain why, but she wouldn’t listen and kept slamming the doors and muttering angrily at us. So much for hospitality… On our way back we stayed at a different lodge (Namaste Lodge). About this day: the longer we were on the trail, the earlier we woke up… Usually we had breakfast at 6am and started hiking around 7am. This day was no different and after passing the Sagarmatha National Park checkpoint (just past Monjo), we started our hike to Namche Bazaar. The first hour was easy, the path was flat and crossed the river a couple of times. After crossing a vertigo inducing suspension bridge the climb to Namche began, along the way up we caught our first glimpse of Everest and Lhotse! It took us 1 hour to hike from the suspension bridge to the police checkpoint just before Namche Bazaar. From the checkpoint it was only a little further to beautifully situated village of Namche Bazaar. About the lodge: new and modern lodge with big room, well-isolated, double and comfortable bed with nice blankets, hot shower (450 rupees), common room is heated in the evening, clean western toilet and sinks for brushing your teeth. The only downside about this lodge: the food (and the shower) is seriously overpriced. Prices here were the same as in Lobuche and Gorak Shep, which are both much further up the EBC trail. In those villages it’s a lot more expensive to get supplies than in Namche. On our way back we stayed at a different lodge (Khumbu Lodge). About this day: from 3500 meters up the altitude can start to be a problem, therefore it’s highly recommended to spend 2 nights in Namche. There is a beautiful acclimatization hike to Khumjung, Khunde and Shyangboche so we didn’t mind at all. Also, one more day in Namche meant one more relaxing afternoon in the Himalayan Java Cafe where they sell the most delicious walnut brownies and oatmeal cookies. And if the cookies can’t lure you in, they also have delicious coffee, Wi-Fi and free charging! Anyway, I am digressing. About the acclimatization hike: it was a steep 1-hour climb from Namche, but the good news was we didn’t have to carry our 10kg backpacks! Be sure to walk to the Everest View Hotel, there are some splendid views (of Everest, duh?) when the weather is clear! From the hotel the trail leads down to Khumjung, a Sherpa mountain village in a beautiful valley. From Khumjung it was only 10 minutes to Khunde. 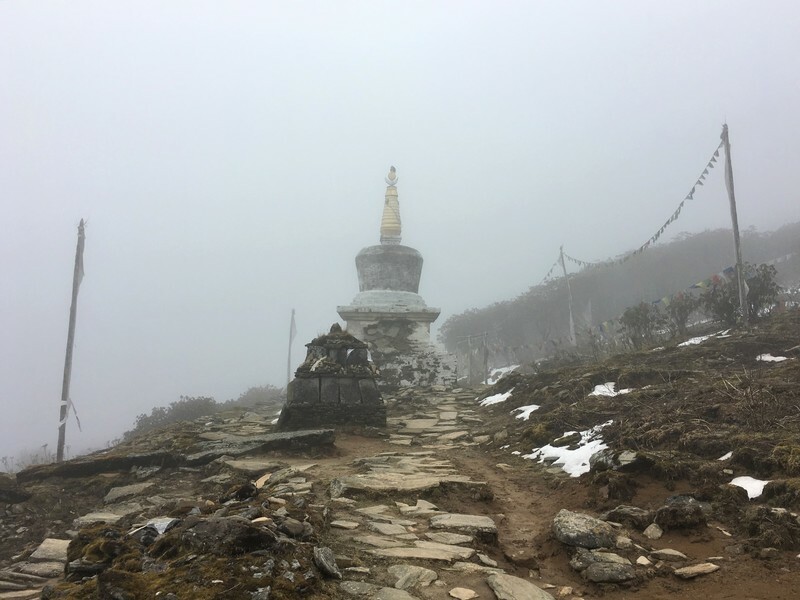 We completed our circle via the airstrip at Shyangboche and hiked back down to Namche Bazaar. We stayed at the same lodge as day 8 (Nirvana Home). About this day: the climb out of Namche was a little steep, but from there the trail led along a mountain ridge with only a couple ups and downs. After an hour the trail dropped down to the river where we crossed a bridge with colorful prayer flags. From the bridge it was a 600 meter ascend to Tengboche (3880 meters), it took us a little over an hour but we were quite fast on this day. Tengboche is lovely little village, you can see Mount Everest and Lhotse and there is a beautiful monastery. At 3pm we visited the monastery for a daily ceremony where the monks sing and chant for 30 minutes. An interesting insight into Tibetan/Nepali Buddhism! 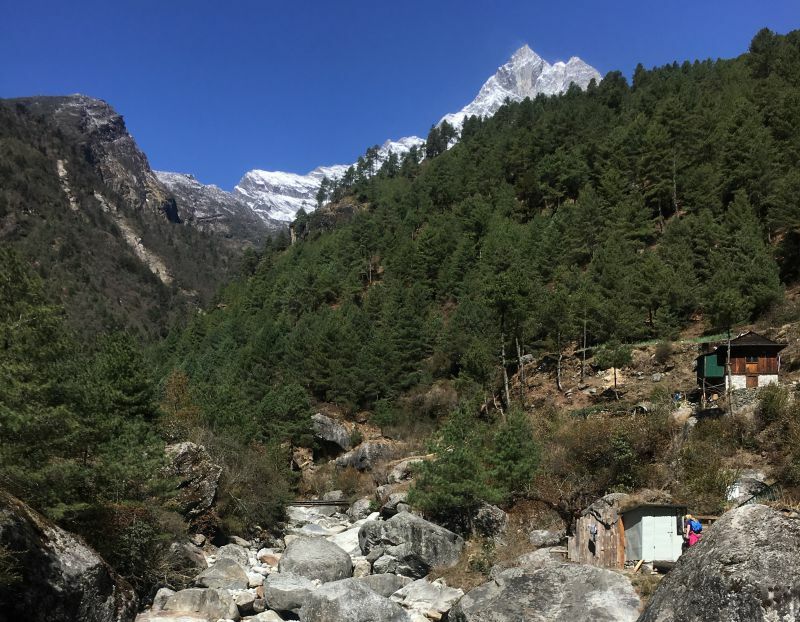 About this day: the trail out of Tengboche led through a forest, the last trees we would see for a while… After crossing the river the trail climbed a little and led to Pangboche and Shomare. After Shomare there were no more trees, only grassland and rocks. But the views… the views were breathtaking as you can see in the picture above (and I don’t mean me). 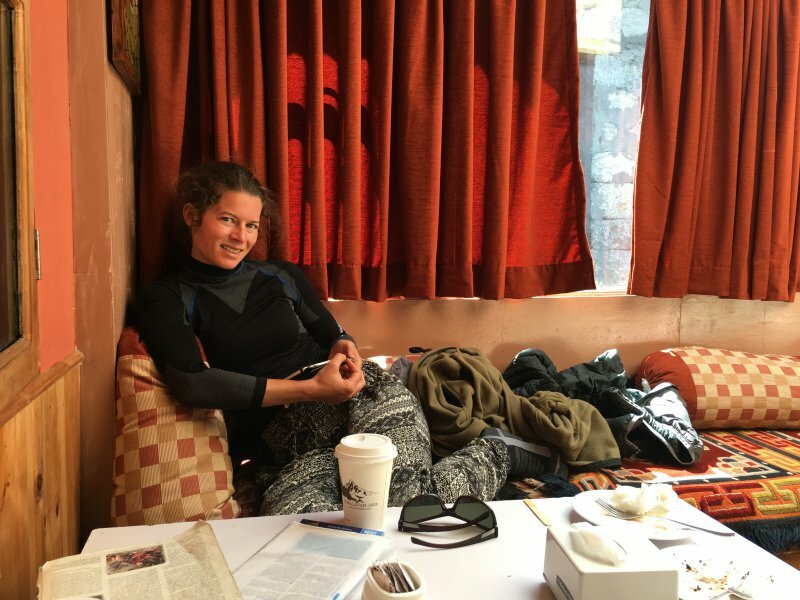 It took us 3h45minutes to reach Dingboche where we checked into the Snow Lion Lodge. After lunch we hiked up to the flagpole on Nangkartshang, a ‘hill’ behind the lodge, the return trip took us about 90 minutes. 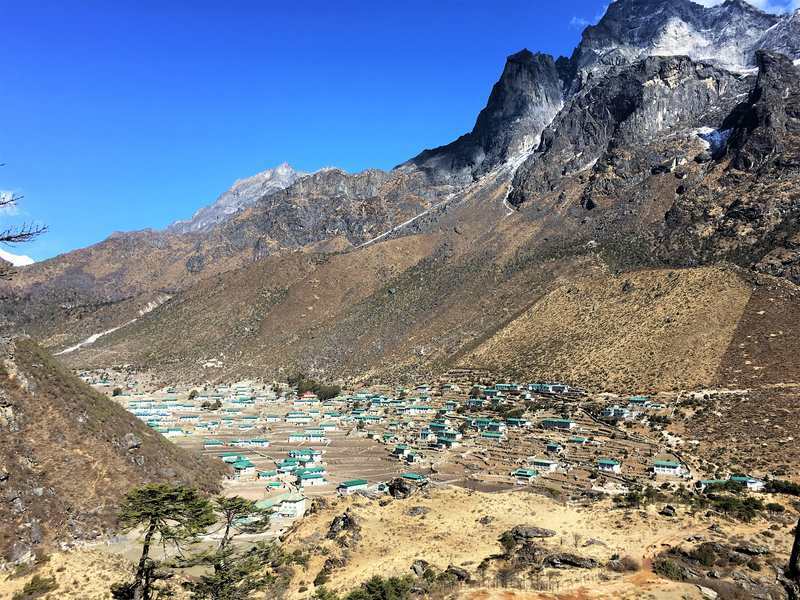 We stayed in Dingboche for 2 nights, as is recommended for proper acclimatization. About the lodge: very friendly owner, cozy and heated common room, nice bed and warm blanket (though from Dingboche on it was so cold during the night I used my sleeping bag as well). Western toilet and sink, however, because of the cold everything freezes during the night so you have to be creative when brushing your teeth. Great food, try the pizza, vegetable mono with cheese and the vegetable potatoes with cheese (but stay away from the pasta…). The French bakery next door has good coffee and lots of cakes. It took us 1 hour and 45 minutes to get to Chukhung, there we relaxed in the sun for a while before hiking back to Dingboche (1h30min). We spent the rest of the day in the warm and cozy French Bakery. We stayed at the same lodge as day 8 (Snow Lion Lodge). However, when we arrived at Dughla, we were not done hiking for the day. After dropping our bags at the lodge we continued hiking to Loboche for 2 reasons: 1. Acclimatization and 2. To reserve a room for the next day. Why where they catching up? Because we trekked very slow and spent an acclimatization day in Dingboche and stayed the night in Dughla, which not many people do. 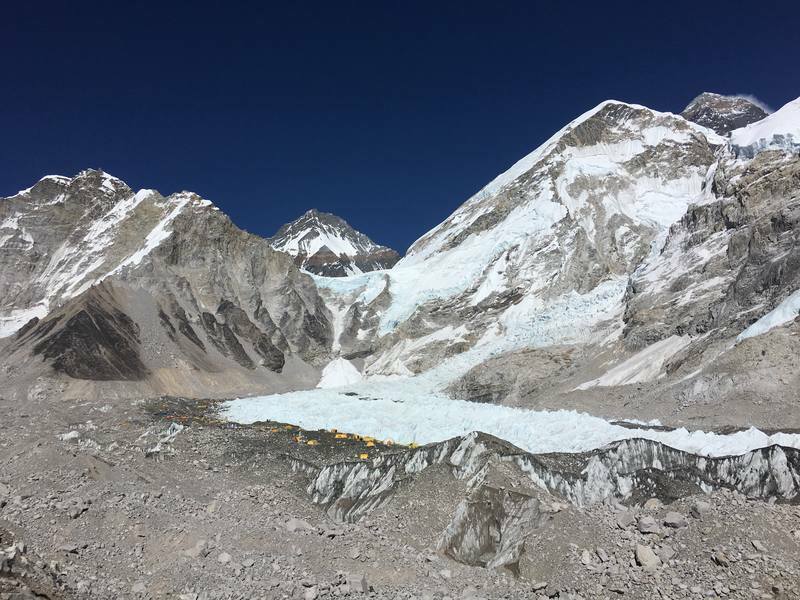 Most trekkers continue directly from Dingboche to Lobuche, even though this is not recommended because of the 600 meter increase in altitude. There are not that many lodges at Loboche and Gorak Shep, which is usually not a problem, but we worried it might be with so many people coming. Turned out: it was. Making a reservation one day ahead secured us a room in both Lobuche and Gorak Shep, many people had to sleep in the common rooms or even in tents outside! Anyway, hiking from Dughla to Lobuche took us 1h15min up and 50 minutes down. About the lodge: this lodge has 2 buildings, we stayed in the one that was not attached to the dining room. We were first shown a room in that building, but the beds were very hard. In our room (103) the mattress was okay and the blankets were warm. Squad toilet and no sink to brush your teeth (but get creative with a water bottle and you’ll manage). Heated common room, good food (check the Yak specials) and adjacent bakery. Not the nicest lodge on the trail not bad either. Also, the only other lodge in Dughla is 500 rupees per night and the rooms looked exactly the same. The food in that lodge was also more expensive, hence our choice to stay at the Yak Lodge. 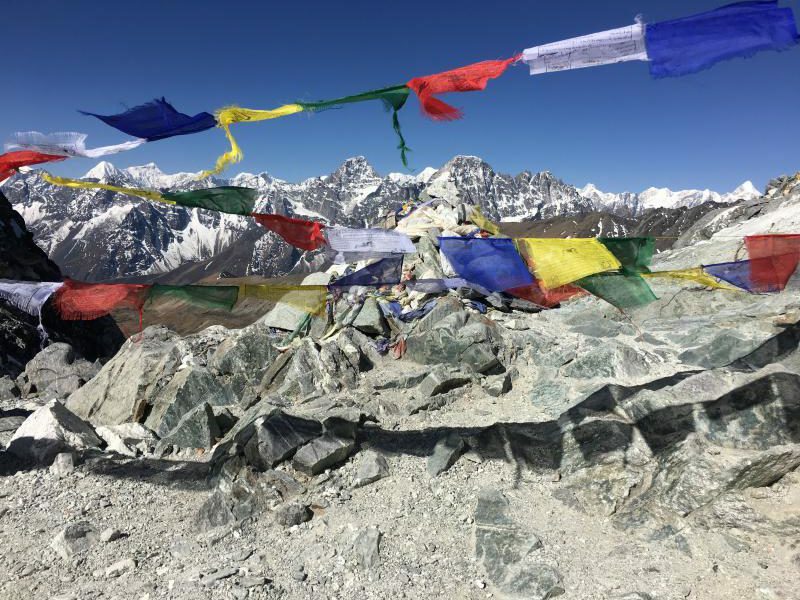 From the memorial area the trail leads into the valley of the Khumbu Glacier and … Everest Base Camp! But first to Lobuche, which we reach in about 1 hour and 20 minutes. 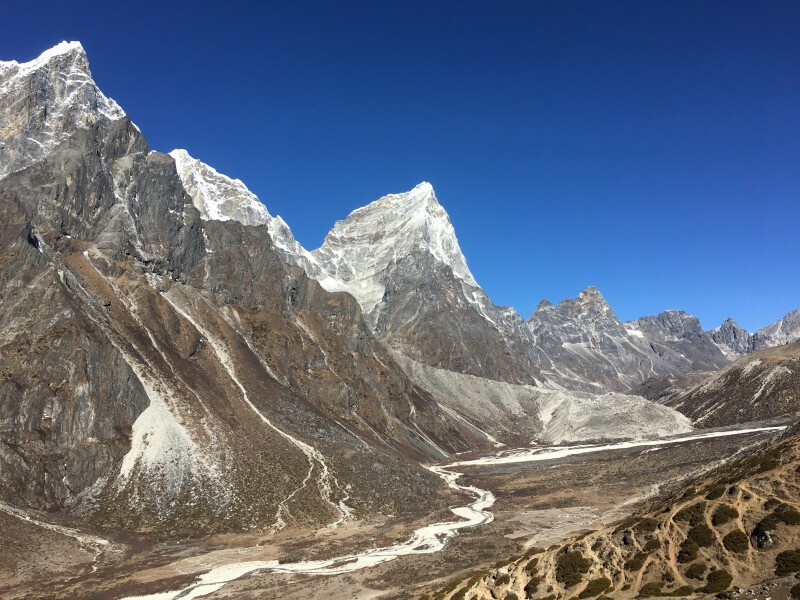 At Lobuche, we dropped our bags at our reserved room and continued hiking to Gorak Shep (2h) to do the same trick again: acclimatization, room reservation and lunch before heading back down to Lobuche (2h), with a short detour to check out the Italian Pyramid (a research center). About the lodge: I liked this lodge a lot! The owner is nice and speaks English very well, western toilet and sink (which didn’t freeze overnight! ), warm blankets and good bed, well isolated as there was double glass in the bedroom window! Cozy and warm common room which was heated the entire day and not just in the evening. The only downside was that my ‘vegetable’ noodles contained exactly 2 pieces of carrot, so it was mostly just noodles to which I added a large amount of ketchup. But perhaps that was just bad luck, after all, it was extremely busy at the lodge because of the sudden influx of 700 hikers in one day. This is where we made the slight mistake of hiking both to the top of Kala Patter and to Everest Base Camp. On the same day. On top of our ascend to Gorak Shep. In hindsight, this was probably not the smartest decision. After all, we were not in a rush so why do both on the same day… But we were feeling good and the weather was amazing so we went for it. 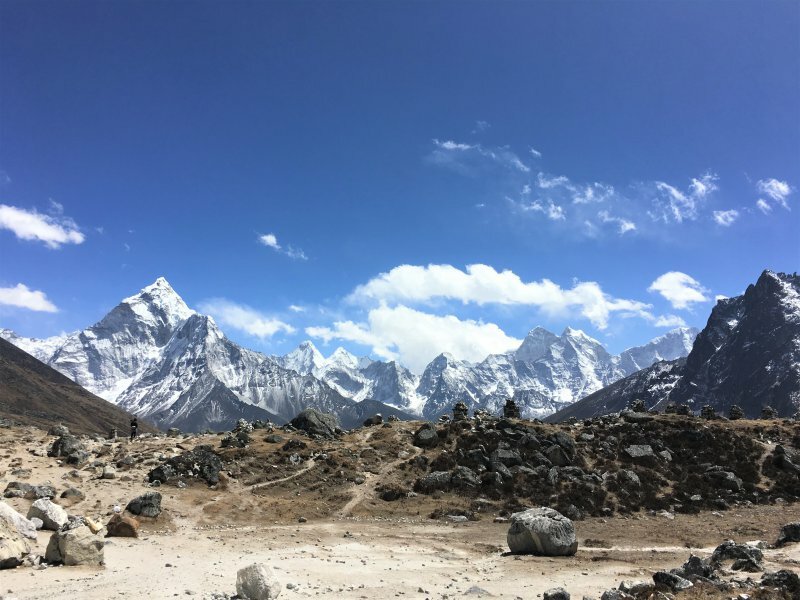 We were absolutely exhausted when we came back to the lodge in Gorak Shep and I don’t really recommend to hike to Kala Patthar and Everest Base Camp on the same day if you have enough time. Better to enjoy an afternoon in the sun in Gorak Shep! About the lodge: this was by far the worst room we stayed at, but we were lucky to have a room at all. All the lodges in Gorak Shep were full and had we not hiked up the previous day to make a reservation we would have had to sleep in a tent outside. That being said, our room was next to the generator (it was actually hazy from all the exhaust fumes inside our room), below the stairs and there was water (at least I hope it was water…) on the floor, leaking into the room from the hallway. At 9pm the generator was turned off and after 30 minutes with an open window and an open door most of the smoke was gone from the room. The common room was extremely crowded, the toilets were dirty and there was no sink to brush your teeth. But again, it was very busy so perhaps this lodge is a lot better when there are less people. The food was nice and the staff genuinely made an effort to accommodate as many people as they could. About this day: the upside about our crazy idea to do Kala Patthar and EBC on the same day is we could immediately hike down to Lobuche the next day. After a stop at New EBC Lodge for coffee and hot chocolate we continued to Dzhongla. The trail was easy, from Lobuche it went slightly down until we reached a fork in the trail, left was back to Dughla and right was were we needed to go. We crossed a plain and hiked along the ridge of a mountain for about 1h30min before reaching Dzhongla. The trail curved around the mountain and offered beautiful views over the valley and the river below. A nice and easy day! About the lodge: friendly owner (who climbed Mount Everest 10 times! ), great food (try the tuna spring roll and the french fries topped with egg), western toilet (but no seat) and no sink to brush teeth, warm blanket but thin mattress. About this day: an exhausting but amazing day… It’s essential to start this day early and reach the top of the Cho La Pass before 9am. We started at 5.30 and reached the top of the pass at 8.30am. The first hour of the hike goes through a valley, nice and easy. After that hour we climbed over large boulders for 1 hour and 30 minutes, this part can be a bit difficult to navigate but as long as you pay attention to the green arrows you should be fine. The last 30 minutes to the pass, the trail leads over an icy glacier, which is the reason you want to start early. The ice starts melting as the sun gets warmer and it can get very slippery. In the early morning everything is still frozen solid and we didn’t have any problems. The glacier is absolutely breathtaking, I couldn’t capture the stunning blue color in a picture so you’ll have to go see for yourself! At the top of the Cho La Pass we took a short break to enjoy the views on both sides and regain our strength for the steep descend. The trail down is really steep and it’s easy to slip because of the loose gravel, we took it very slow… The valley leading to the village Tagnag is stunning, I took my all-time favorite picture there. Well actually, Frank took it, I’m in it;-). From the Cho La Pass it took us 2h30min to reach Tagnag where we had lunch before continuing on our way to Gokyo, our destination of the day. 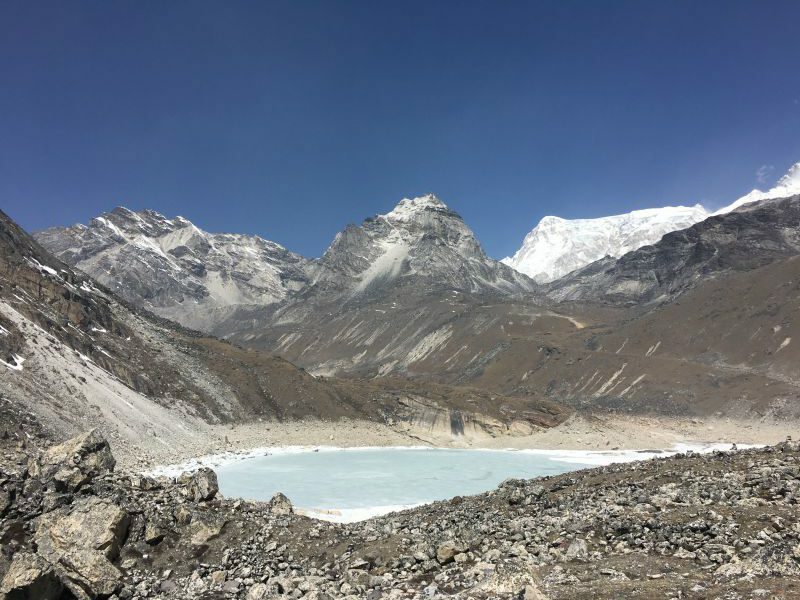 The trail from Tagnag to Gokyo goes over the Ngozumpa Glacier and again the views were overwhelming. I have to say that while this was one of the heaviest days on the Jiri – EBC trek, it was also one of the most beautiful! After 2h15min we finally reached our destination: the pretty village of Gokyo, located next to a beautiful lake. About the lodge: one of my favorite lodges! We had an amazing view over the lake from our bedroom and the common room. The common room was heated both in the morning as well as in the evening. The old lady who runs the place is superfriendly and the food is great (try the cinnamon pancake, mixed spring roll and hash-brown with cheese). There was a western toilet (without seat) and a sink to brush our teeth. Good mattress and warm blankets (yes multiple, and I also used my sleeping bag and thermal underwear, it was very cold in Gokyo!). About this day: we planned to do only a short hike today and give our tired bodies a chance to recover from the exhausting day before. But that didn’t happen as we hiked to the 5th Sacred Lake and the return trip took us 5 hours. It was worth it though, from the 5th Lake we had a great view of Mount Everest. Also, the 4th (picture above) and 5th (picture below) lakes themselves are very beautiful, although both were still frozen when we where there and I heard it’s are even prettier when the lakes are unfrozen and a vivid blue. 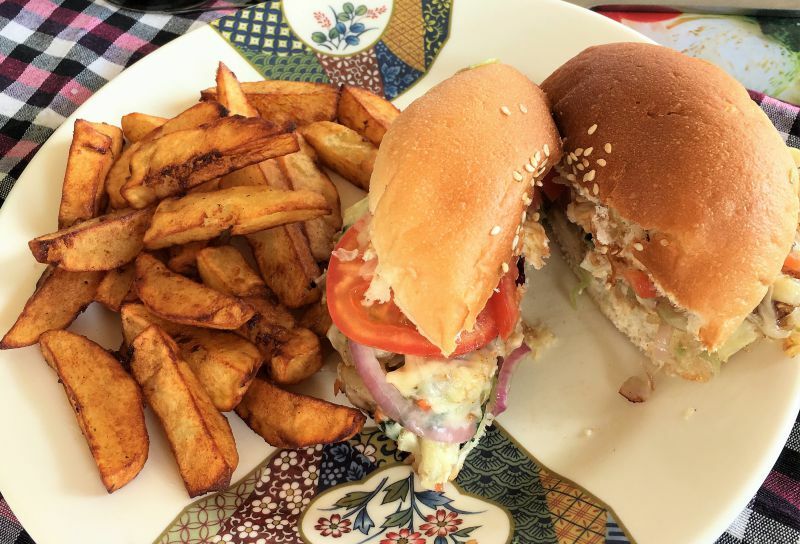 Back in Gokyo we treated ourselves to a massive piece of apple crumble, a vegetable burger with cheese and french fries and a nice cup of coffee at Gokyo Bakery (adjacent to Gokyo Resort). We stayed at the same lodge as day 17 (Cho-Oyu View). About this day: our plan was to descend to Dole and hike further down the next day. 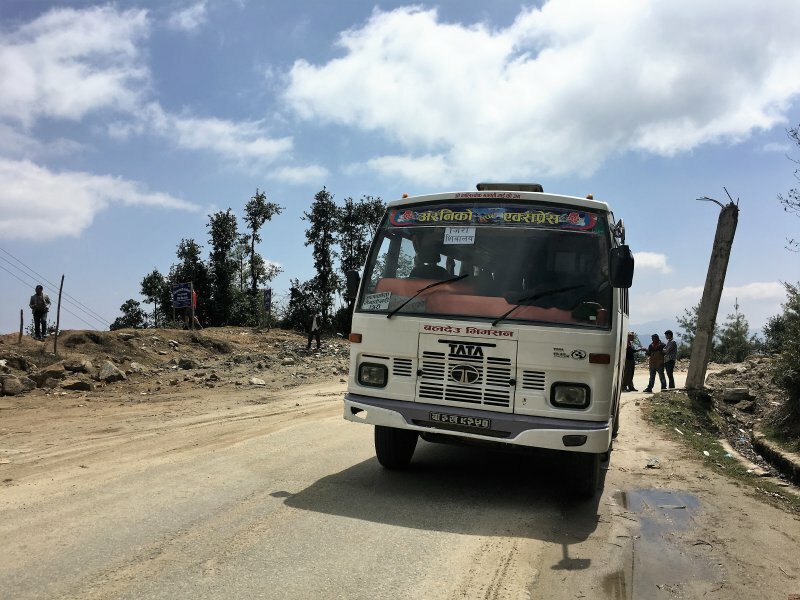 But we arrived in Dole around lunchtime and decided to keep going… and ended up in Namche! It was a long day, but most of it was downhill and with all the extra oxygen we felt like we were floating down the trail?. We didn’t do anything this day! Well, nothing but relax and eat everything on the menu in the Himalayan Java Cafe☺. We could have hiked to Monjo or Lukla, but our flight to Malaysia wouldn’t leave for another week and we preferred to spend our time in the beautiful mountains instead of in Kathmandu. We stayed at the same lodge as day 19 (Khumbu Lodge). About this day: when we woke up it was snowing! That made us a little worried about the flights from Lukla, but we decided to wait until the afternoon before hiking down to Monjo and see if the weather would improve. We spend the morning at the Himalayan Java Cafe (surprise surprise?) and after lunch the sky was blue again and most of the snow had gone. We hike down to Monjo in 2 easy hours. About the lodge: friendly owner who cooks excellent fresh food (try the stir-fried vegetables and homemade vegetable pizza). Western toilet and sink with running water. Sunny terraces for the afternoon and a heated common room in the evening. The only downside was the thin mattress, but we used a blanket to create an extra layer. We bought a NCell SIM card in Kathmandu before our departure and loaded it with plenty of data (250rupees for 1000MB). From Jiri to Sete we had reception with our NCell card. However, after the storm and heavy rain during our night in Sete the signal had disappeared in the morning. This was the start of 4 days with no cell reception whatsoever. We couldn’t find a signal anywhere on the trail between Sete and Bupsa. Only when we were near Surke (just before Lukla) our cell reception returned, we could get back online in Cheplung. In Cheplung, Monjo, Namche Bazaar and Tengboche we had good service (the best in Tengboche, surprisingly enough). When we reached Dingboche the signal was gone and this remained so until we reached Gorak Shep. In Gorak Shep the signal was okay for one day but gone the next. Perhaps because there were so many people using the network. No reception in Dhzongla and Gokyo, only when we reached Phortse Thenga on our way down to Namche Bazaar our NCell SIM card had reception again. 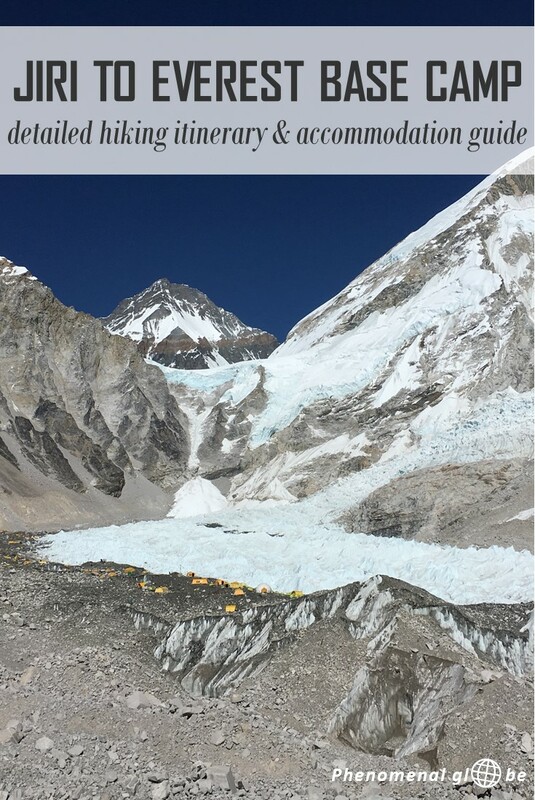 Alright, that’s it, our Jiri – Kala Patthar – Everest Base Camp – Cho La Pass – Gokyo itinerary! We spent 22 days on the trail in total and trekked very slow. 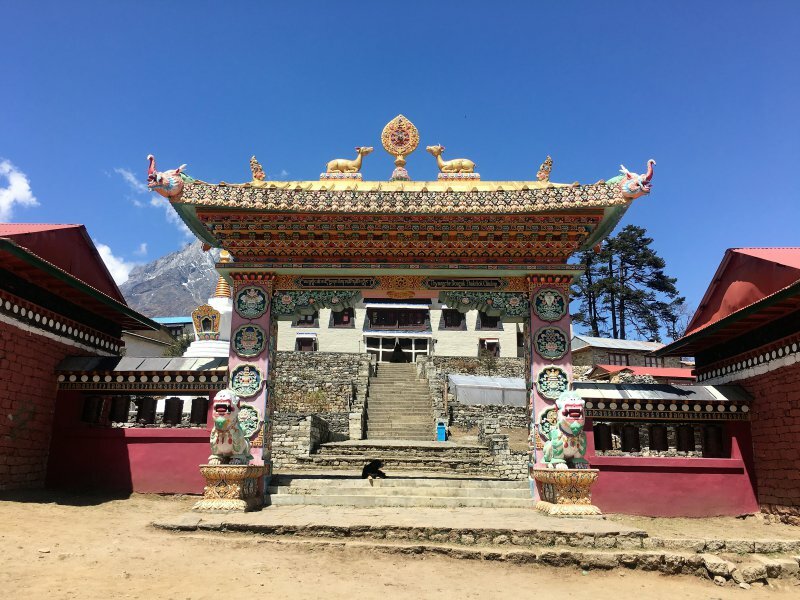 While I strongly recommend to do the acclimatization days listed in our itinerary, you can obviously skip day 20 (our chill-out day in Namche) if you are pressed for time. 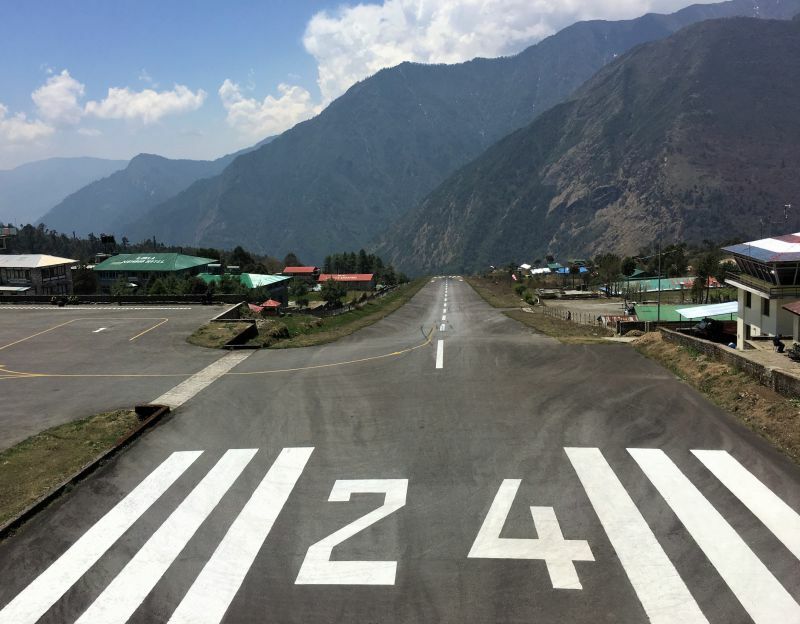 Another option is to fly from Kathmandu to Lukla, which saves you 6 days of hiking. But like I said above, I highly recommend to start your hike from Jiri. Not only will it help you with acclimatization, you will also help the people living between Jiri and Cheplung by spending your money in the lodges/shops/restaurants along the trail. 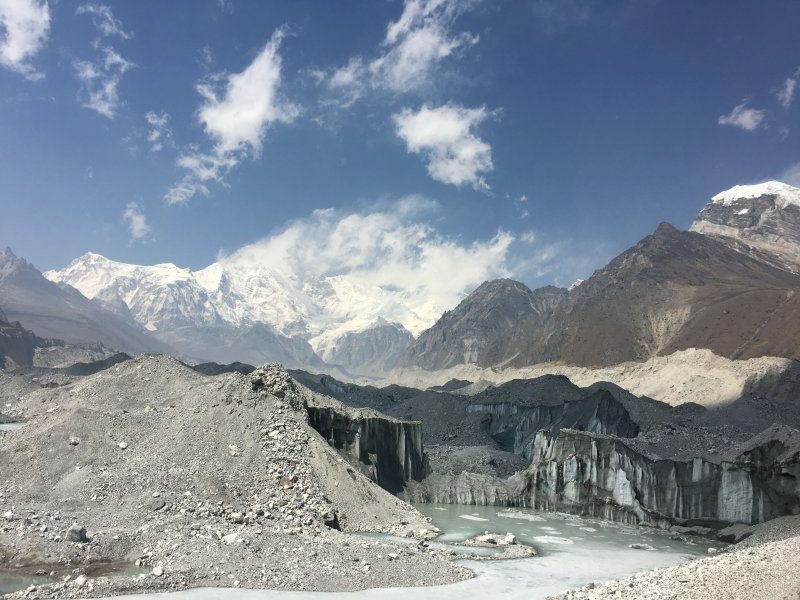 We hiked the Jiri – EBC trek independently. Besides the fact that this is cheaper (a guide costs about $25 per day) we mostly did this because we like hiking by ourselves. Hiking the Jiri – EBC trail independently enabled us to could choose our own speed (which was slow), choose our own lodges (usually the guide arranges this) and choose our own itinerary. I’m not saying this is not possible with a guide, we just felt we didn’t need one. And when it comes to navigating, I don’t feel you need a guide. However, it would be been nice to learn more about the area and a guide can obviously share so much information! In the end, hiking independently or with a guide is up to you and what you feel suits your plans the most. 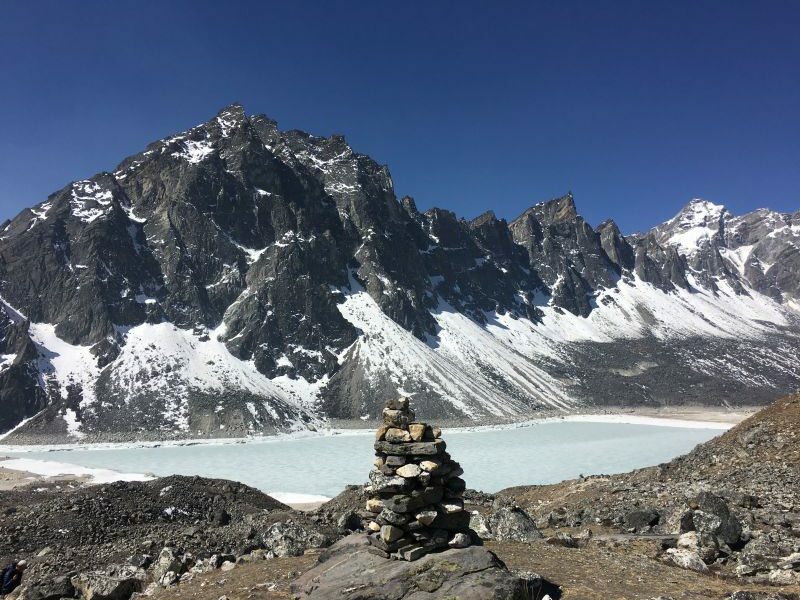 A friend of mine, Antonette of We12Travel hiked the EBC trek with a guide, you can read about her experiences here. Below you can download a table with our itinerary and trekking times. 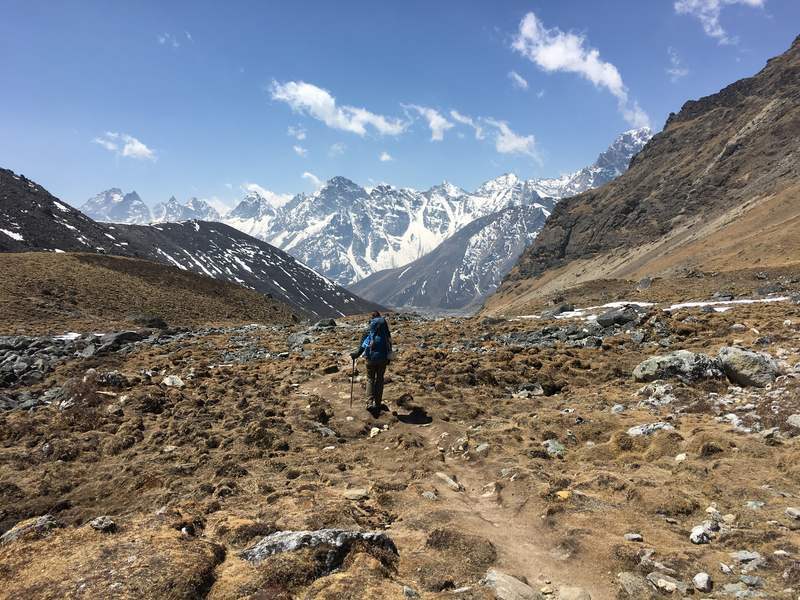 Enjoy the Jiri – Everest Base Camp trail, it’s an unforgettable experience! Very impressive. I did the EBC trek myself via Gokyo and the Cho La, but flew directly into Lukla instead of doing the Jiri route. Looking at your photos, it’s nice to see what I missed. 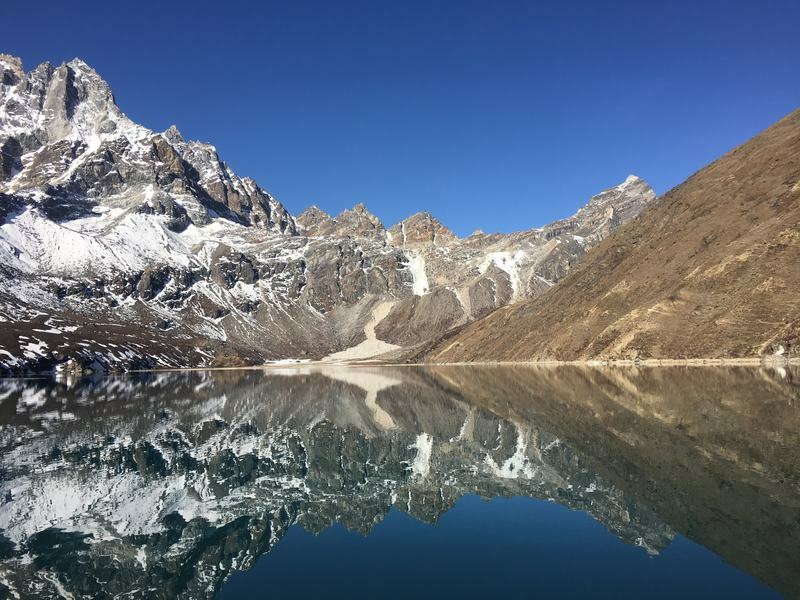 The view from the 5th lake at Gokyo was my favorite of Everest from the entire trip…I think your photo captured it better than mine did! Congratulations! Cool! When did you do the hike? I loved it, even though it was a physical challenge;-). Thanks, happy to hear you like the pictures. Wow, very usefull information. We are now planning our trip to Nepal for September. We are not sure which trail we are going to walk but this article mean +1 voor the EBC. How did you go to Nepal? From India or did you fly into Katmandu? Any insiders tips are welcome. We flew to Kathmandu from Oman (we made a road trip there) which was surprisingly cheap (€120 per person). 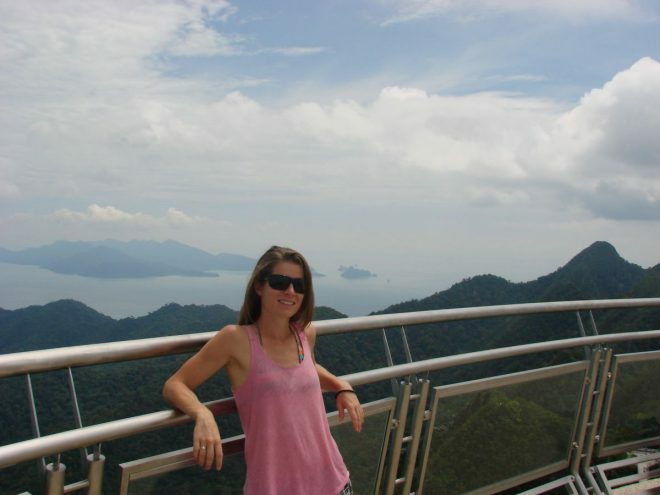 We flew out to KL but that was a lot more expensive (€250 per person). From Nepal flying to India is the cheapest option, but we are both not that keen on going there so decided to fly to Malaysia for some diving. Feel free to send me an email if you have more questions! Thank you so much for your exact information about the route. I enjoyed reading this. And I have to tell that I am so dreaming about the EBC trek via Jiri.. As a Nepali, it is great to see foreigners adoring Nepal. I hope you will be back to do more trekking in Nepal. Nepal offers many more. 🙂 Thank you for visiting Nepal. I’m so happy to hear that, it really means a lot to me you like the article:-). Your country is absolutely amazing and I would love to come back and do more trekking… Thank you for reading my post and for your kind comment! Really enjoyed reading your itinerary! All the time and effort you’ve put into remembering (and jotting down) the fine details have really paid off. We’re off to do Annapurna early next year (in Winter), and I must say that even though you were doing a different trek, my expectations have changed dramatically, as I’m sure things will be pretty similar – and I was expecting almost all of the guesthouses to be far more basic than what you’ve explained. 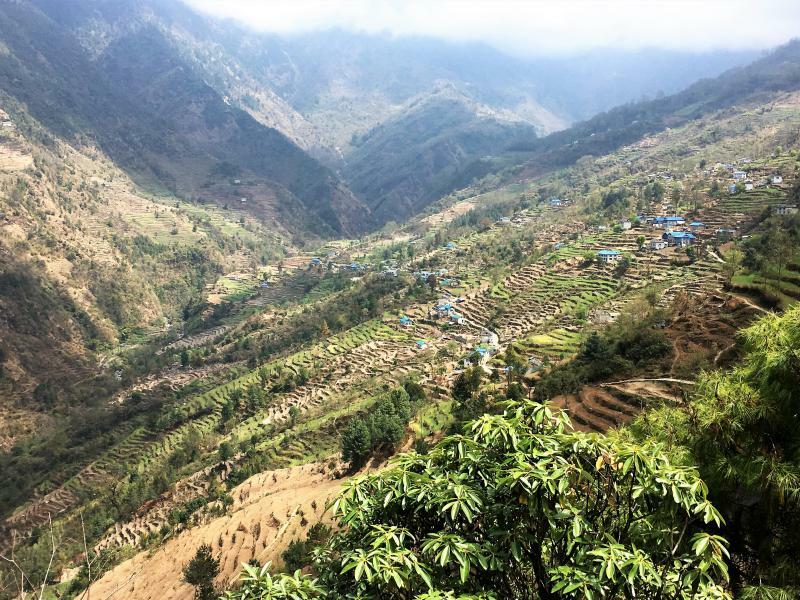 One question though – when did you do this hike in Nepal? What month? Thanks again. Regards, Sofie and Morten. Thank you so much for your kind words! 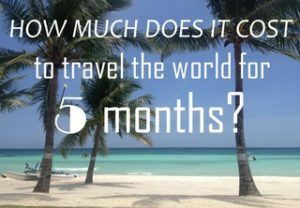 It’s why I started blogging in the first place so its great to hear my travel stories are helping you plan your 1 year RTW trip. How exciting, where are you planning to go (besides Nepal?). 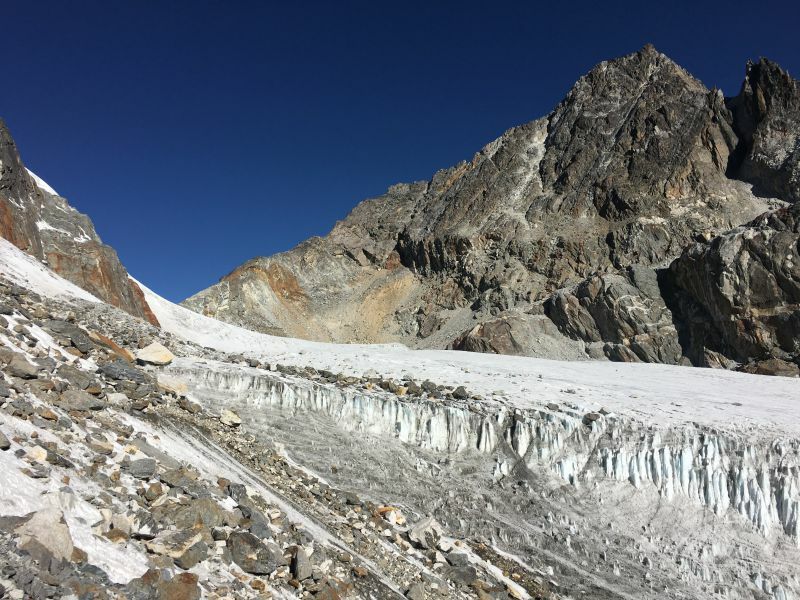 We hiked the EBC between the 25th of March and the 16th of April (mind you, we hiked from Jiri, if you just do EBC you can do it in about 16 days). Hope this helps and let me know if you have any other questions! I really enjoyed reading your blog and your detailed description of the itinerary! The trek seems to be very hard. If you don’t mind me asking, what is your level of expertise in hiking and the fitness level you think it is required for the Jiri-EBC hike? Is it much more than the Lukla-EBC one? Do you recommend any preparation before it? Thank you very much for reading, I’m very happy to hear you like my blog:-). About your questions regarding the EBC: yes, I won’t deny it’s a tough trek. That being said, the only multi-day hike I did before the Jiri-EBC trail was a 3 day hike in Batad and I only carried a small backpack then, not 10kg. I did find the first 6 days between Jiri and Lukla the hardest, every day you ascend and descend between 700-1200 meters and you hike between 6-9 hours (including breaks). However, I did feel like we benefited from those hard days once we were on the EBC trail. Days are shorter but the higher you go, the harder it is to breathe. Having acclimatized slowly by doing the Jiri – Lukla trail was definitely beneficial for us. However, you never know how your body will react to the height. Don’t be put off though, hiking to Everest Base Camp is a once in a lifetime experience, one you’ll never forget! Hope my rambling helps a bit;-) Feel free to ask any other questions you may have. 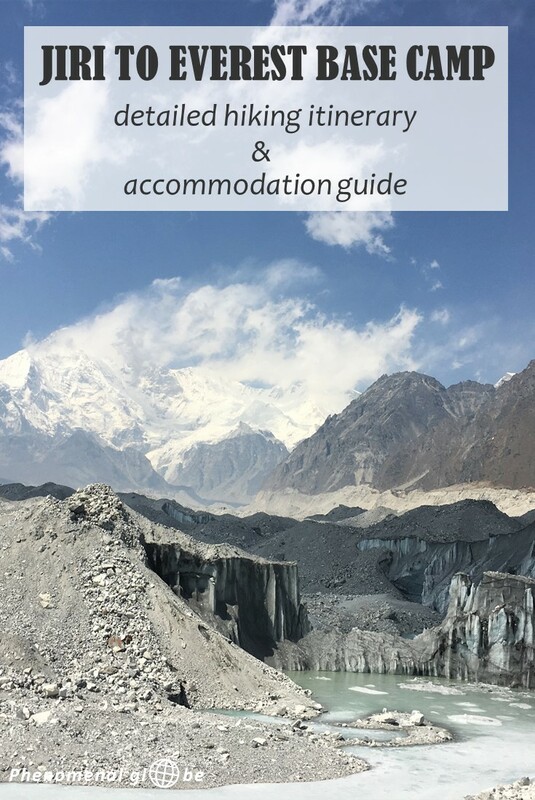 Hi Lotte, I loved your blog and itinerary and this will be really helpful when I try do hike to EBC. I organise and do it by my self and I really look forward to it and seeing your article I think it can be done without guide or tour organisation. Besides that, I’m interested if you booked the flight from Lukla to Kathamandu beforehand? I decided I’m gonna start in Jiri as well which give a good opportunity to get used to the altitude since I have not been training on these heights! That’s why I want to take it slow and not be in hurry so by booking the flight ticket beforehand I loose a little bit of my flexibility. How did you do this? Thank you for reading my blog, glad to hear you find it helpful! How cool you’ll be hiking the EBC trail, it will be tough but you’ll love it nonetheless;-). About your question, yes we booked our tickets from Lukla to Kathmandu when we were in Thamel (preparing for the hike). The great thing about the tickets though, is that it’s a flexible ticket. You can change the date if necessary, so if you are faster/slower than expected you just call the agency you booked with (when you are back in Namche Bazaar) and they will change your flight date for you. 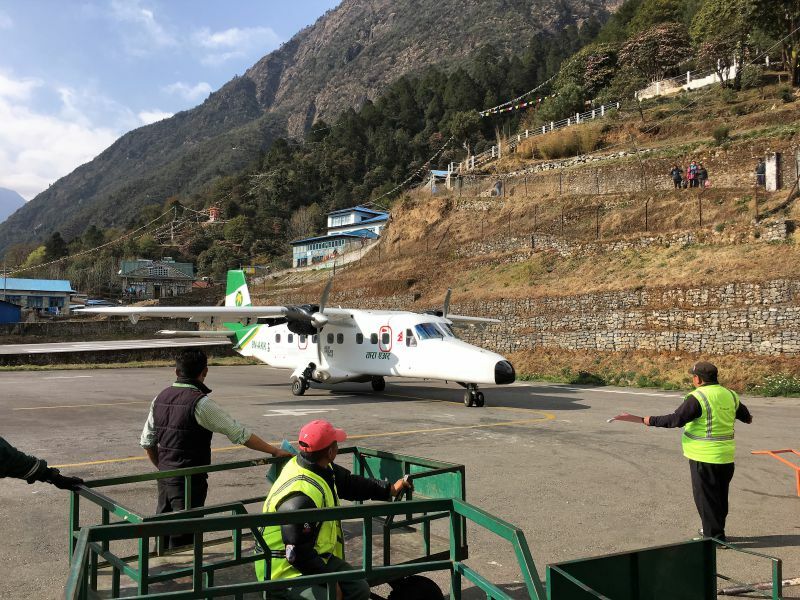 We even changed our ticket on Lukla airport and flew out that same day (we were supposed to fly on Monday and got a flight on Sunday afternoon. Mind you, officially there are no flights in the afternoon but this one was delayed for 4 hours. That happens a lot;-). Hope this helps! Good luck with the preparations and enjoy the trail! Thanks for the swift reply last time! My preparations for the trail are going well. As planned my trail is gonna start a week from now and obviously I’m very excited to start my trip. As I decided to do the trail solo (without guide) and try meet up with hikers along the trail this means that I have to navigate myself. Since you stated in your blog that the first part (from Jiri to Lukla) of the trail will rather be quiet and I’m not the greatest navigator in the world I’m curious about how hard it’s to find the right trail and not get lost. Or is the path rather straightforward? How did you experience this and do you have some recommendations? I’ll have access to the same resources (Maps.me/Google Maps, detailed map of the area, Nepalese SIM card). Is it for example easy to find your way via Maps.me? Of course, happy to help:-). Wow, only one week of waiting left, exciting! I’m sure you’ll meet plenty of hikers in the bus to Jiri (though some people start in Shivalaya instead of Jiri). Otherwise, as long as you follow the orange circles on the trees and rocks + check your progress on Maps.me and your paper hiking map regularly, you should be fine. 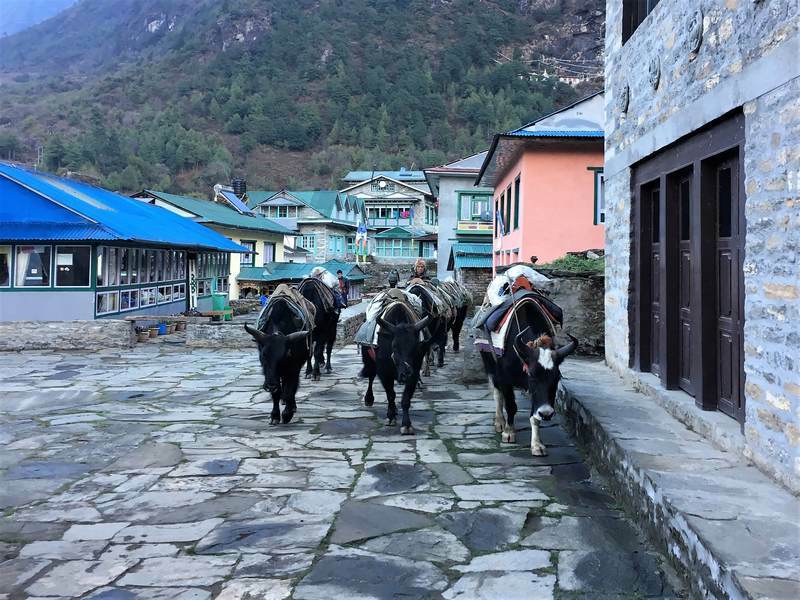 It is a well-trodden path, particularly after Nunthala (many donkeys on the trail until Namche Bazar for the Saturday morning market). Have a wonderful trip and let me know how it goes:-). Lovely report. Nice info that will help many people. My only perhaps negative thoughts are that the Nepalese people are very poor. Their economy relies heavily on tourism. Hiring a guide and/or porters helpers them directly and the country as a whole. The cost to western people is very small. The guide costs less for 24 hours than even most people get paid for an hour at home. Accordingly I would encourage people to hire a guide and porters- they are splendid people to meet as well. Thank you for reading and for your thoughtful comment. I agree that hiring a guide and/or porter is a great way to support the economy and Nepalese people. Guides have an incredible amount of knowledge about their area and the Himalayas, and all Nepalese people are very kind indeed! Nevertheless, anyone should decide for themselves if they want to do the EBC trail with or without a guide. Whatever decision they make, it will be a once in a lifetime experience. Plus, even without a guide you can still support the economy by spending money on lodges, food and locally produced hiking hear. Is There is wifi between Jiri to Lukla , my girlfriend is actually doing this trek on her own and I have no news, i just wanna know if in some lodges or bakery there is wifi? I hope you don’t worry too much about your wife, we were 5 days without wifi on that part of the trail. She should have a signal again when she reaches Cheplung on day 6 of the trail. Let me know if everything is okay, I understand you are worried. It must be hard not to hear from your beloved for so long. Great blog! I did pretty much the same itinerary as you back in 1998. A friend of mine is planning to do the trek next year and I’m trying to convince him to walk from Jiri. When I was at Namche Bazaar you could hire decent mountaineering tents and equipment that outgoing expedition teams had sold to lodge owners etc. Do you know if that still happens? My friend and I hired a tent and camped out a few nights (bottom of Cho La, Scoundrels View). Can barely believe my trip was 20 years ago now, reading your blog has brought back some great memories! Hi Lotte! Great post. I really enjoyed reading your blog and your detailed description of the itinerary! Hi guys, your blog just popped up on my Pinterest and as we’re thinking about making this trek this year I had to read. Such an excellent detailed guide, the best I’ve read. Thanks for sharing! I’ve been doing a lot of blog reading in prep for my upcoming solo Three Passes Trek. I haven’t thanked any of the bloggers yet so to them and esp. you for the detailed tea-house info, thanks:)! I’ve pinned all this onto my offline map, the route’s starting to come together. Wow, very cool you’ll be doing the Three Passes! I’m glad my blog post helped you prepare for this once in a lifetime adventure. Have an amazing time in the Himalayas! Great Post! I am a single female traveller wanting to do this trek. What are your thoughts regarding safety? Are there enough other trekkers on this route that there is usually someone around? Any recommendations for me? Me again. I’m also curious, if you don’t mind sharing, what the cost per person was for your trip. First of all, thank you for your epic blog and travel itinerary! I’m doing Jiri – EBC in mid august. May I ask where you bought the bus ticket from Kathmandu to Jiri? Did you buy it at Ratna Park bus station the morning before you left for Jiri? Thank you, I’m very happy to hear that:-) Great you’ll be doing the Jiri – EBC trail, I didn’t know it was open in August! We actually booked our bus ticket together with our flight from Lukla to Kathmandu and the agent got the bus ticket for us. But I’m pretty sure you can buy a ticket yourself at Ratna Park, though it may be a challenge to find the right booth. Have a great hike! Ah that’s not too bad:-) Thanks for the feedback! Really Nice post. I’m currently debating EBC or Langtang. I have read that you made it around April, do you know if Lodges prices are more expensive in November because High season? And why were Gokyo and Dzhonglha lodges free? I have read that jiri to namche the way is wll marked., but how is the way going back around Gokyo? We are going without guide too and want to know if it is easy to get lost, is it usual to see mor treckers aournd there? About your questions, as far as I know lodges aren’t more expensive in November. The lodge owners earn most of their money with the food you buy while staying at the lodge and the menus are the same all year. That’s also the reason why the lodges in Gokyo and Dzhongla were free, the owners gladly give up the dollar per person they charge for the bed in exchange for you eating dinner and breakfast at their place. Thank you very mutch for the answer. I will ask you again if we have any question in last moment… Thanks! Hello! We are at Namche at the moment and we were thinking yo go up in the same way you did (going Up from Periche, Lobuche to Kala Patar an then go to Gokyo via the Cho La Pass). But a local said we could go up to Gokyo, then cross the Cho La pass and end go to Kala Patar. What do you think? 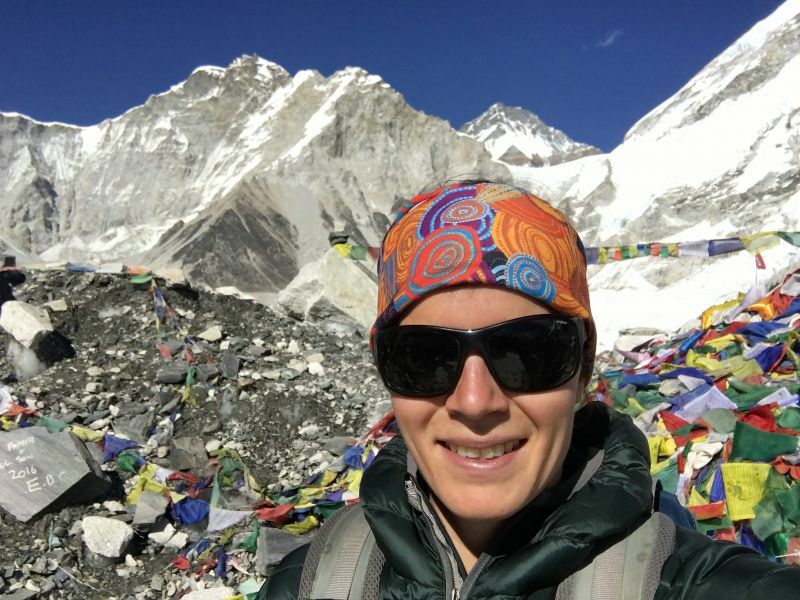 Hi Lotte, thank you for this informative blog about Everest Base Camp Hiking. This is the classical route to EBC best for those who want to avoid the Kathmandu-Lukla flight.